One hundred years ago in 1918-1919 when the global influenza pandemic killed millions worldwide, including thousands of Native Americans, a revolutionary new tradition of healing emerged in Ojibwe communities in North America: the jingle dress dance. Oral histories vary on where exactly the jingle dress first appeared, but some origin stories point to the Mille Lacs Ojibwe community. The new exhibit “Zibaaska’ iganagoodday: The Jingle Dress at 100” – at Mille Lacs Indian Museum and Trading Post in Onamia – explores the story of the zibaaska’ iganagooday, or jingle dress, its connections to healing and how it has spread across Native communities in the last century. 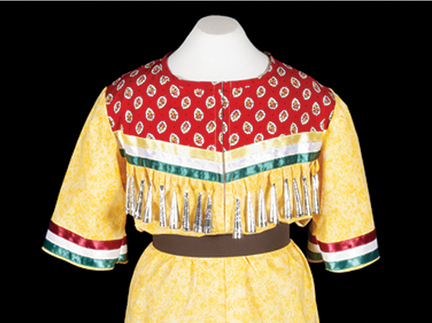 Today the jingle dress is a popular dance form on the competitive powwow circuit and is performed by Native women from a variety of tribal affiliations. 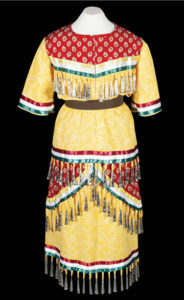 Two piece Ojibwe children’s jingle dress. Made by Jane Villebrun, Boise Forte Band. Made before 2019. Cotton, tin cones, and ribbon. Visitors will be able to examine jingle dresses – many from the Minnesota Historical Society collections – from a variety of eras and communities and see how Native women have handcrafted garments or transformed store-bought dresses by adding decorative cone-shaped jingles, originally created from snuff tobacco cans. 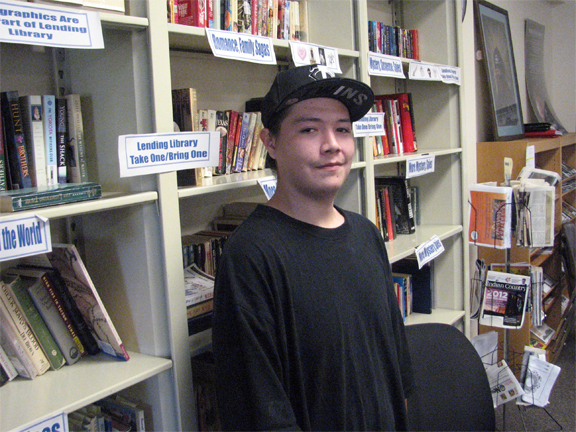 Exhibit content is presented in both English and Ojibwe and is curated by Child and her students. The exhibit is a partnership between the Minnesota Historical Society, the University of Minnesota Department of American Studies, and the Mille Lacs Band of Ojibwe community. 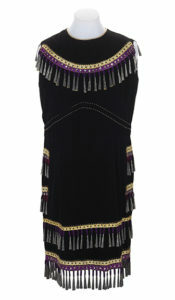 Sleeveless jingle dress assembled by Mary Bigwind, White Earth Band, 1930s. “Zibaaska’ iganagoodday: The Jingle Dress at 100” will be on display through Oct. 31, 2020 at Mille Lacs Indian Museum and Trading Post. A symposium on the jingle dress and its history will be held at the museum in June, 2019. 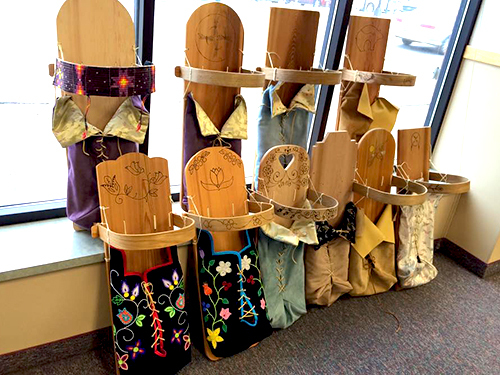 “Zibaaska’ iganagoodday: The Jingle Dress at 100” opens April 3rd and runs until Oct. 31, 2020 at the Mille Lacs Indian Museum and Trading Post, 43411 Oodena Dr., Onamia, MN. The cost is included with general museum admission – $10 adults, $8 seniors, veterans/active military, college students, $6 ages 5-17, free for age 4 and under and for MNHS members and Mille Lacs Band members. For more information on the exhibit, see: http://www.mnhs.org/millelacs.